Side sleepers face some of the toughest challenges while sleeping. They wake up with neck pain, aches in their shoulders and joints, upper back pain, and some even experience daily headaches and migraines. Sleeping on either side is a common position, and many people wake up every morning with unexplained aches and unrestful sleep. If morning pain is a constant companion, then a side sleeper pillow will help immensely to distribute body weight evenly and ease the pressure in your upper body like arms, neck, shoulders, and upper back. Most people do not realize the importance of side sleeper pillows. These pillows help combat numb arms, shoulder pains, and neck pains effectively in comparison to ones made for straight sleepers. 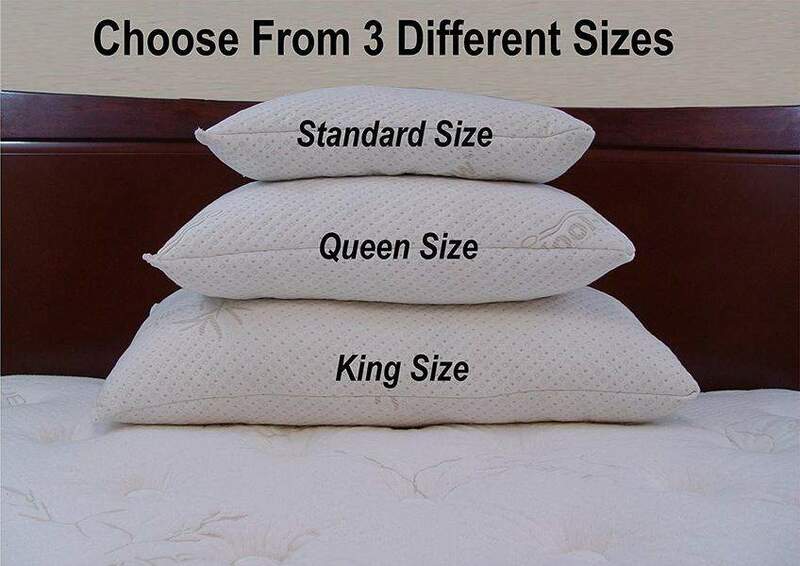 Since side sleepers require different pillows, the cushioning should have the correct amount of firmness, fill the excess gap between shoulder and neck, and conform to the neck and head shape readily. These pillows add to the posture required to keep the alignment of the spine and body intact. Also, if you need to replace your mattress for more comfort, consider a mattress topper for a cheaper option. There is a massive debate about the best and worst kinds of pillows for side sleepers. We have simplified this down for you by trial and error and reviews. Memory Foam pillows: These are made with synthetic foam called memory foam that helps in taking shape and contouring to the outline of your neck and spine. This material is durable and firm and is low maintenance in comparison to natural or down pillows. The cost of memory foam is more economical than other pillows, and the material is anti-allergen and anti-microbial. Latex pillows: These pillows are made from natural latex and do not clump, shift, or develop spaces with regular use. These cushions are soft and can be extremely useful for side sleepers with sleep apnea, and those who experience pain in the shoulders and neck upon waking up each morning. The latex material has small holes and channels that allow for regulation of heat and ventilation. 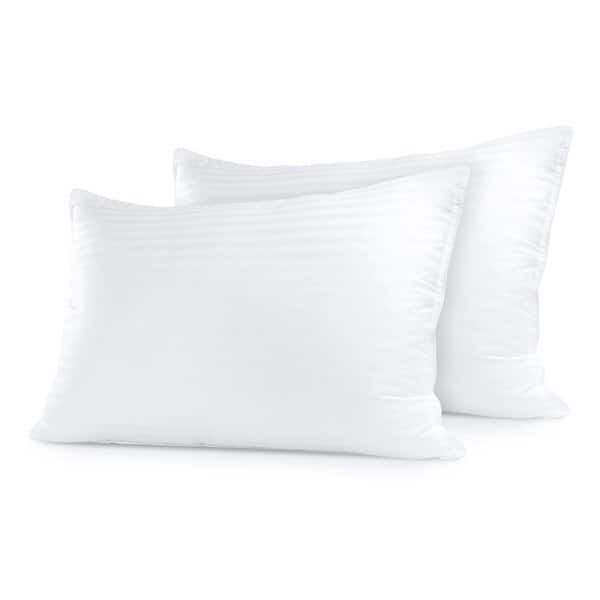 Down: These pillows lose shape fast and lack enough loft for side sleepers. Polyester: This material tends to create empty spots with regular use and can create additional pain and aches for side sleepers. There are many options available for sleepers, but while choosing a pillow always remember that comfort matters above all other aspects. If you are uncomfortable with your choice of pillow, you would be unable to get restful sleep at night. The list below is comprised through trial and error of pillows for side sleepers. The products start with lower price points and gradually increase in cost with particular stress on the different qualities and support of the pillows. All sizes are standard Queen. Without further ado, here are our picks for the best pillows for side sleepers. The cervical support from the Classic Brands Conforma Ventilated Memory side pillow is fantastic. The first on our list, this memory foam cushion is soft and comfortable in comparison to many other regular ones. If you have neck and shoulder pain and sleep on your side, you should definitely opt for this inexpensive, yet effective, pillow. With excellent ventilation, the pillow automatically keeps the air and heat transference low to maintain ideal sleeping conditions. The ventilated foam ensures that the cushioning stays neutral even in hot weather to help with restful sleep. The memory foam used by Classic Brands is resistant to allergens, dust mites, and bacteria thereby ensuring you get the best value for your money. This foam also helps contour your neck and head to remain in a snug yet excellent shape throughout the night. It also helps in relieving strain from pressure points on the neck, upper back, and shoulders to bring relief from aches and pains. The gel pillow from Sleep Restoration is one of our secret finds. We were surprised by the comfort of the gel pillow for side sleepers. Gel pillows are made with gel fiber that is super plush and gives a luxurious feel to your daily rest. The soft cushioning gel from Sleep Restoration is known for its ‘no-shift’ feature that stops the material inside the cushion from moving around and getting displaced. Like the Classic Brands pillow, the Sleep Restoration gel pillow is also allergen-free. Additionally, it is also chemical free and resistant to mildew, dust mites, and mold. 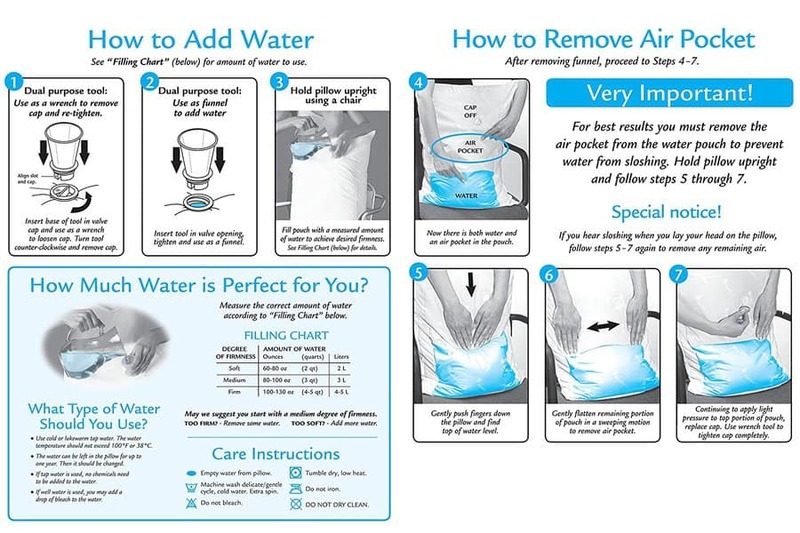 What makes the Sleep Restoration gel pillows remarkable is that they are machine-washable. They are also stain-resistant and can be used for longer durations. The gel technology is ideal for side sleepers who need a firm yet comfortable head rest on their pillows. 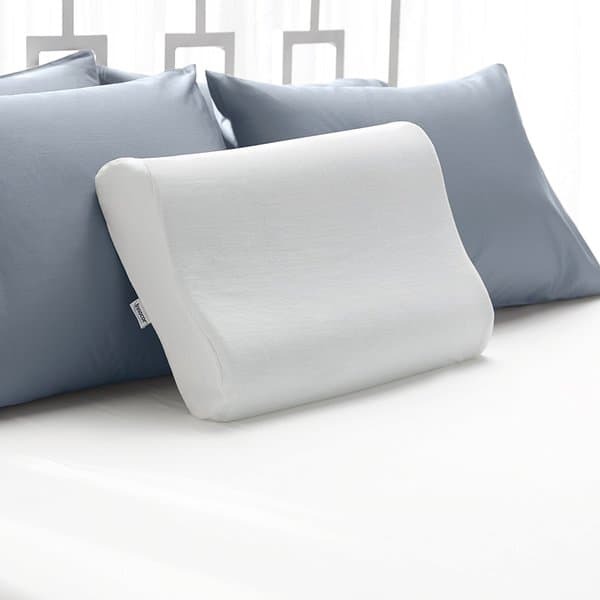 Meant for side sleepers, this pillow from Sleep Restoration helps in easing pressure off the neck and shoulders and facilitates restful and deep nightly sleep. The Down Alternative pillow from Mastertex is one of the most underrated cushions for side sleepers. 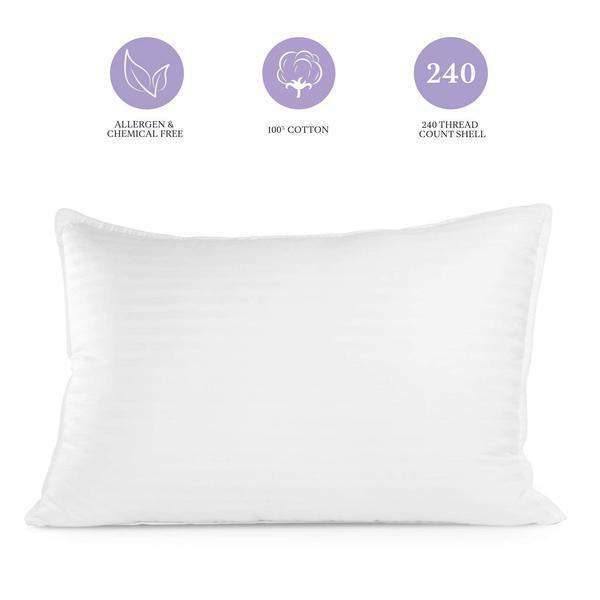 Breathable, with excellent ventilation, this great pillow from Mastertex is fabulous for people suffering from allergies and breathing difficulties since it is made up of hypoallergenic microfibre down-alternative material. The cushioning effect is soft and fluffy, yet firm, and contains down-like fiber. It comes with a 1.5” gusset for maximum loft and neck support. Completely machine washable due to the absence of down, this pillow from Mastertex will not lose its shape after cleaning and drying. It is designed to be comfortable on the head and soft to the touch. This down alternative pillow is also finished with satin piping on the sides and comes with a 100% cotton cover. Once ordered, this product comes in a plastic carrying case that is excellent for storage and movement during travel. 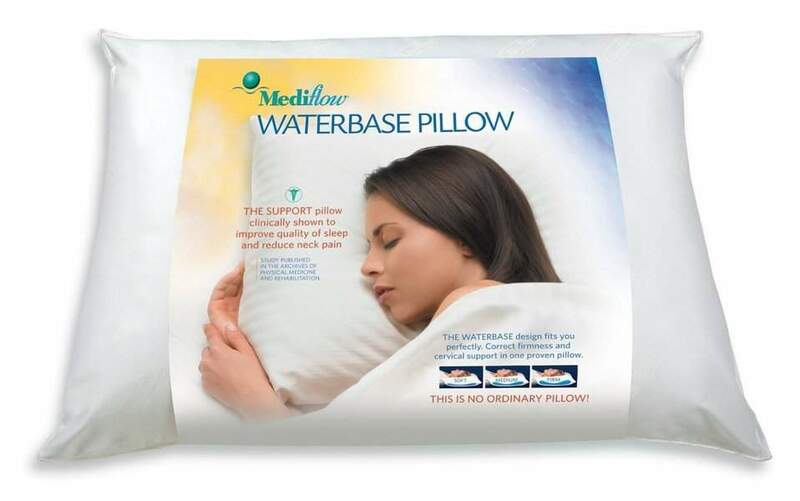 This pillow from Mastertex helps ease pain and neck aches for side sleepers and helps them awaken fresh each morning. Side sleepers will rejoice with the excellent pain-free experience that the U.S. manufactured Sleep Better Iso-Cool Memory Foam Pillow provides. This pillow is made up of visco-elastic foam and spiral spun polyester to keep it firm yet give it a luxurious feel. The Phase Changing Material (PCM) in the Outlast Adaptive Comfort material is made of microbeads that effectively absorb heat and warmth. This technology helps in gauging the correct body temperature and adjusts the manner in which the pillow absorbs heat to keep the temperature low. This pillow from Sleep Better comes with gusseted side stitching that keeps the shape and firmness intact even while moving sides in the middle of the night. The face of the pillow does not twist or get clumpy like many others. The memory foam technology from Sleep Better helps in holding your neck and head firm and gives solid side support. Completely machine washable, the shape and size get restored once dried. 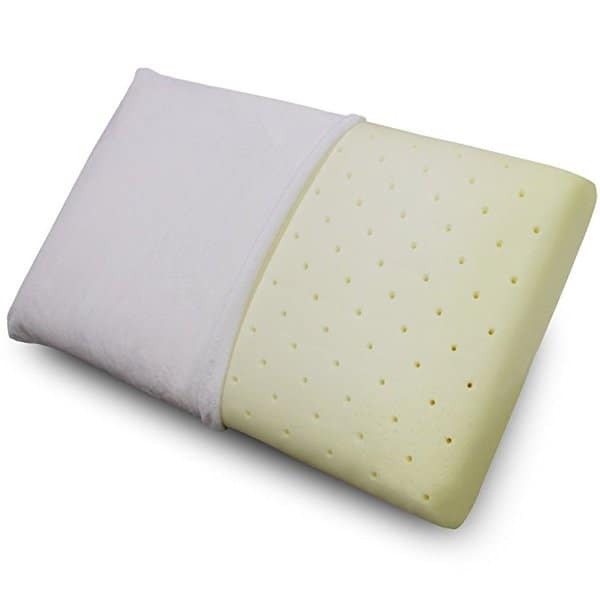 Made in the United States, the Sleep Innovations Memory Foam Contour Pillow is made for people who experience pain and aches while sleeping on the sides. With a memory foam technology that contours to the neck, head, and back for maximum support, this pillow has helped countless people. Extremely lightweight, and easy to carry and transport, Sleep Innovations has made this pillow considering the sheer number of people who require support while sleeping on their sides. 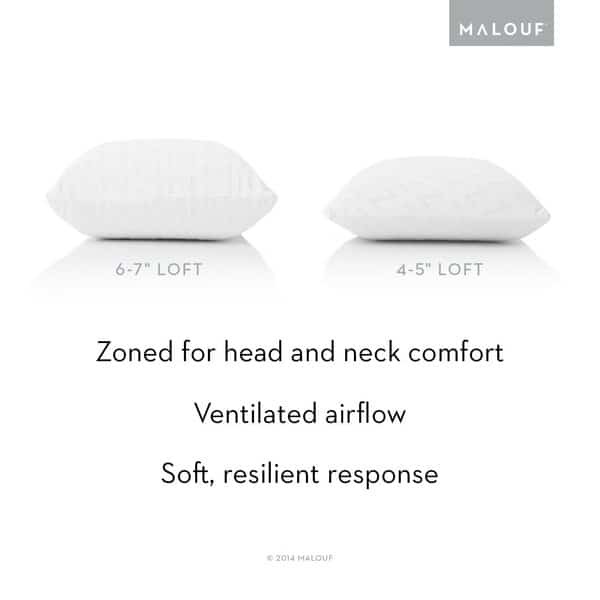 The contours of this pillow are up and down (at differing heights) which provide excellent cushioning and comfort to the neck and head throughout the night. The memory foam technology springs back to shape even as you turn sides. 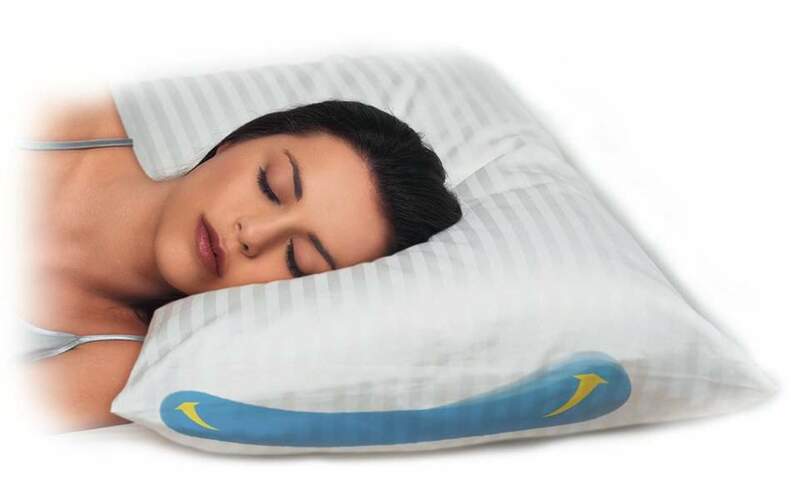 This pillow from Sleep Innovations helps in aligning the neck with the spine to bring relief the next morning. It also helps in correcting posture while you rest to ease pressure from joints and assists in reducing sleep apnea. Linenspa manufacture and deliver top quality products that meet the requirements of almost all users. The 3-inch memory foam variant in mattress toppers is infused with gel swirl to regulate the airflow and temperature throughout the night for a restful sleeping experience. This gel memory foam mattress topper can conform to the curves and spaces of the body to align the spinal cord and relieve pressure points enabling instant pain relief for people suffering from lower, mid, and upper back issues. It also helps evenly distribute body weight to allow more profound and more restful sleep. The swirl designs add a contemporary touch to the mattress topper in a beautiful blue color. Certified CertiPUR-US signifies that the Linenspa mattress topper has been made without any harmful chemicals and has been tested for safety standards. This style of mattress toppers is available in various sizes and inches including 1, 2, 3, and 4 inches of height for greater comfort. One of the most widely used pillows on our list, the shredded memory foam from Los Angeles-based Coop Home Goods is a godsend for side sleepers. 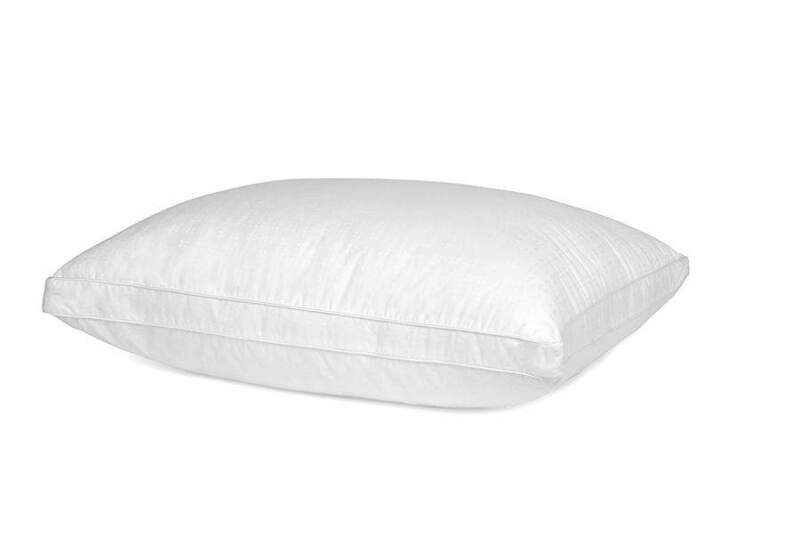 This pillow is a heavy-weight champion that keeps your neck and spine in complete alignment throughout the night. It is soft to the touch and has a luxurious feel to it. Coop Home Goods has integrated a shredded memory foam technology that helps to move, adjust, and bend or position the pillow to get maximum support and comfort during sleep. The inner core of the memory foam pillow allows for excellent ventilation that helps control the temperature of the cushion throughout the night. Hypoallergenic and dust mite resistant, this pillow from Coop Home Goods is unique for people with allergies. 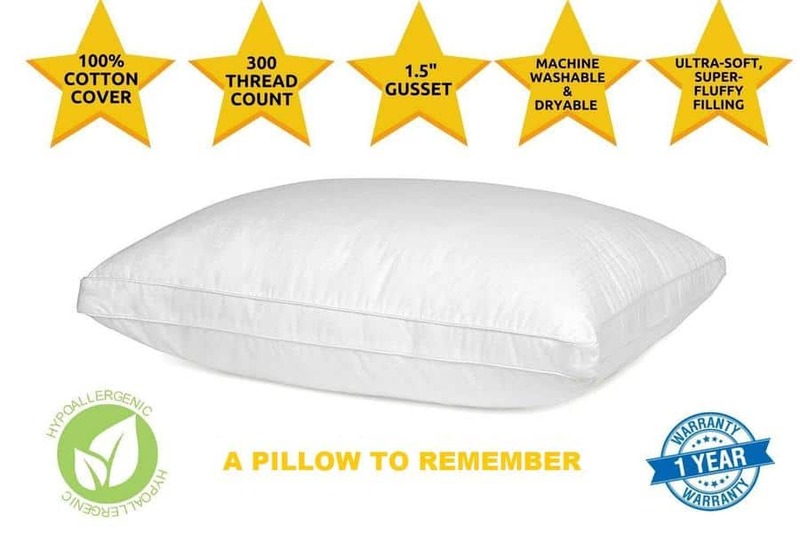 Wholly machine-washable and dryer-safe, this pillow does not absorb moisture even in wet conditions. The memory foam pillow also comes with a Viscose Rayon Cover to protect the pad from liquids and helps resist damp. With the manufacturer’s warranty and refund policy, this memory foam pillow should be on your buying list. This incredible pillow from Snuggle-Pedic simply does not go flat. 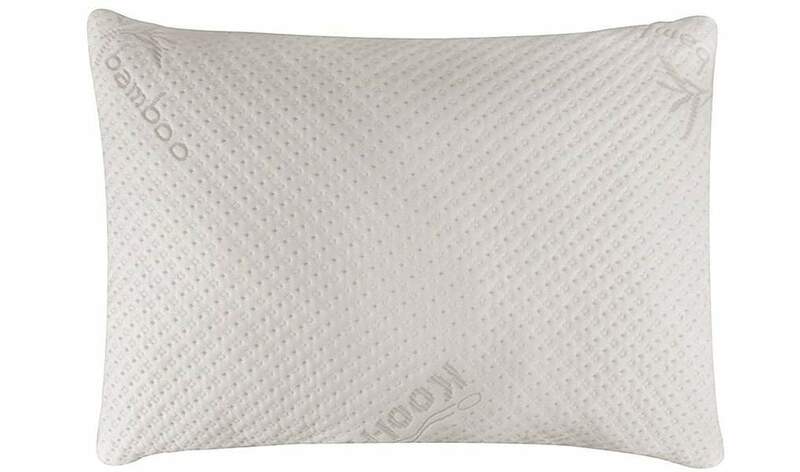 Like the Coop Home Goods pillow, this one is also made from shredded memory foam. This makes it highly useful for shaping, controlling the temperature, and giving a luxurious yet comfortable feel. 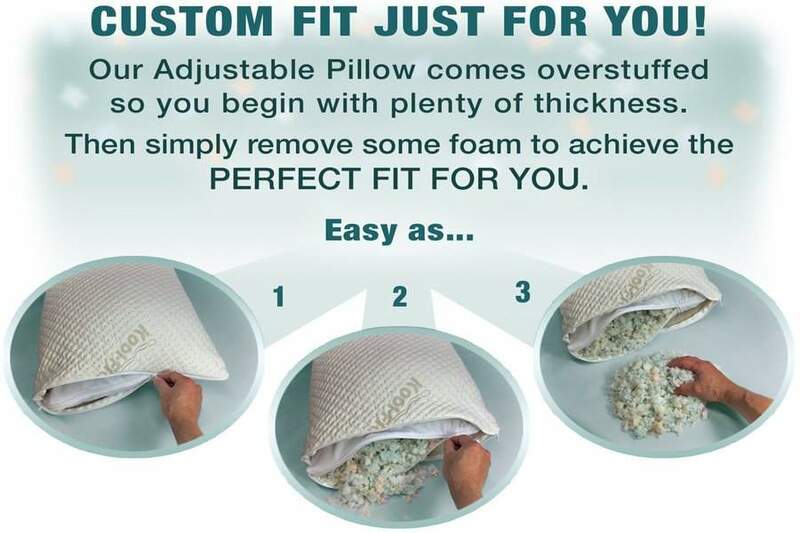 Easy to position, the pieces of memory foam inside the Smuggle-Pedic combination pillow makes it incredibly simple to get the perfect height, size, and satisfaction level. 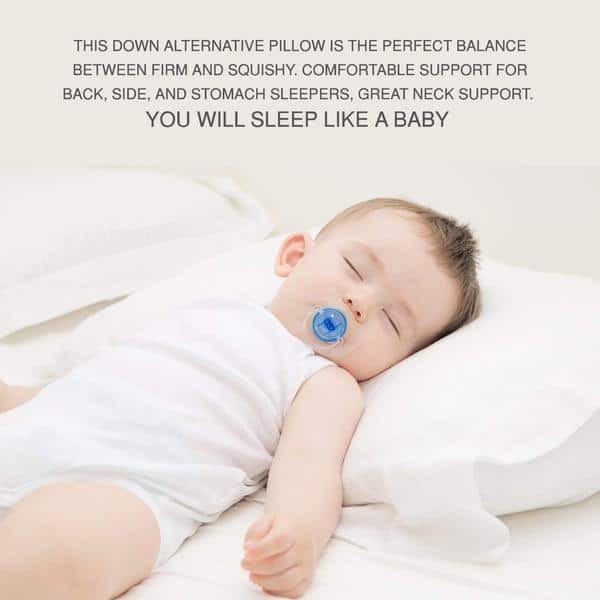 Since side sleepers require more snugness and support to the neck and spine while sleeping, the combination of the micro-vented material and kool-flow breathable cotton help immensely. 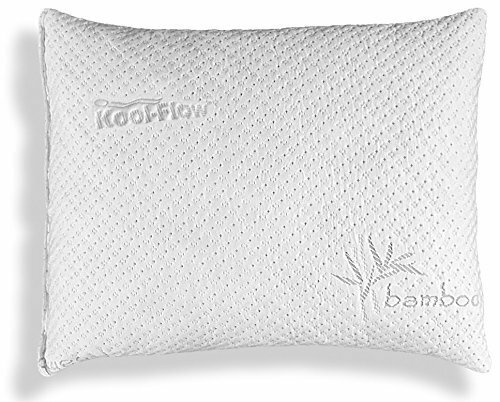 Snuggle-Pedic is the only company on our list to offer a 20-year warranty on their bamboo and memory foam pillows. Their customer support and satisfaction channels are also of superior quality. Made in California, United States, Snuggle-Pedic uses materials that are CertiPur certified. Their pillows are also hypoallergenic and dust mite resistant. 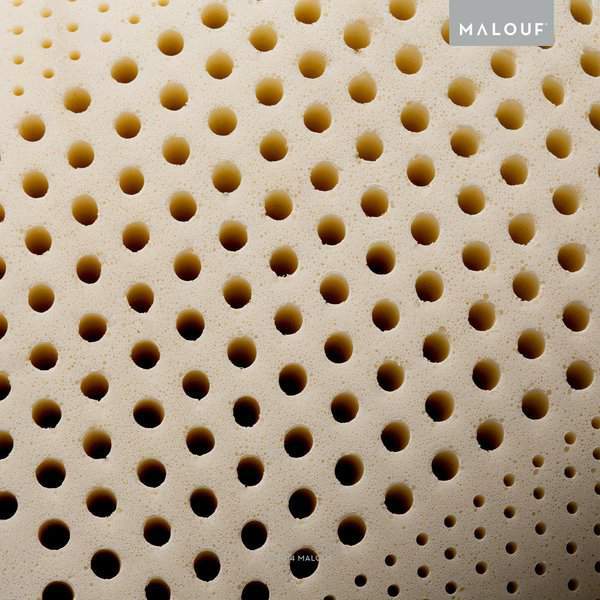 The Malouf Z consists of 100% pure Talalay Latex and has no extra synthetic additives to its material. It is incredibly resilient and does not need fluffing and constant care. 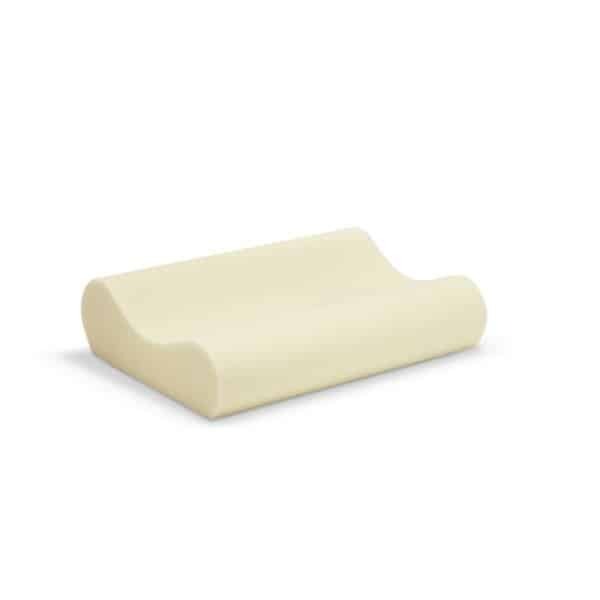 This is one of the pillows that offers superior orthopedic support to the neck, head, and spinal cord. It also helps ease out pressure from joints and supports the natural posture of the neck and head. It is mildew-proof, dust-mite resistant, and hypoallergenic thereby making this an excellent pillow for people suffering from allergies. 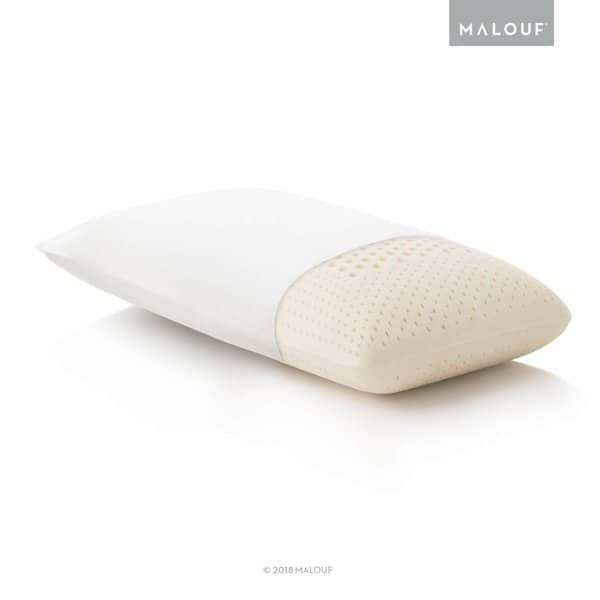 The Z by Malouf also has excellent ventilation for restful sleep and continuously regulates the temperature of the pillow with changes in body heat. Eco-friendly, the material used is recycled rubber from sustainable rubber trees. The superior pin-core design helps cradle the head at perfect angles to ease strain, pressure, headaches, migraines, and neck aches. 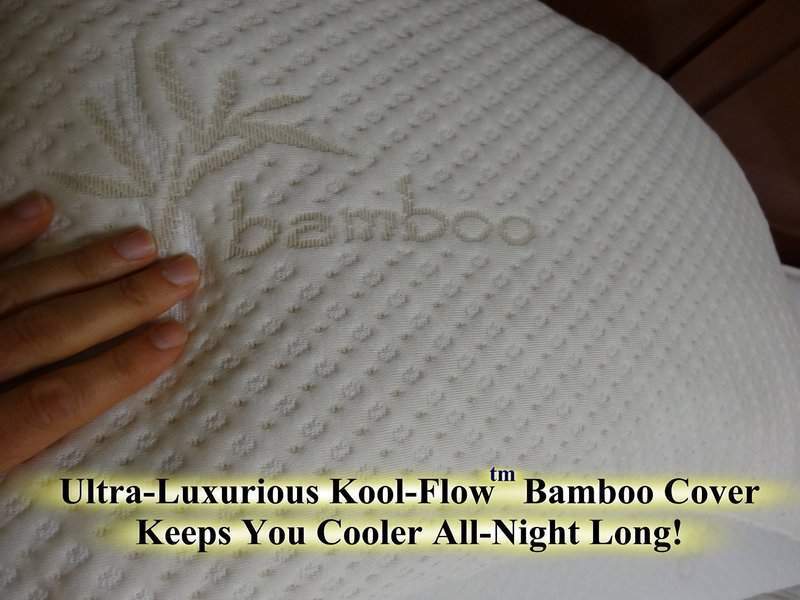 The cover is a patented design by Malouf blending rayon with bamboo to resist heat and moisture.